This Bride & Groom set of 8 props is the perfect addition to your photo booth! The glitter is so sparkly and WILL NOT SHED or FLAKE!! If you prefer another color for the flowers, lips, or mustache, send me a message and I'd be happy to accommodate your request! This listing is for a set of 8 ultra-cool props on a stick! This shop really delivered, on time and they were so nice and helpful! Thank you! 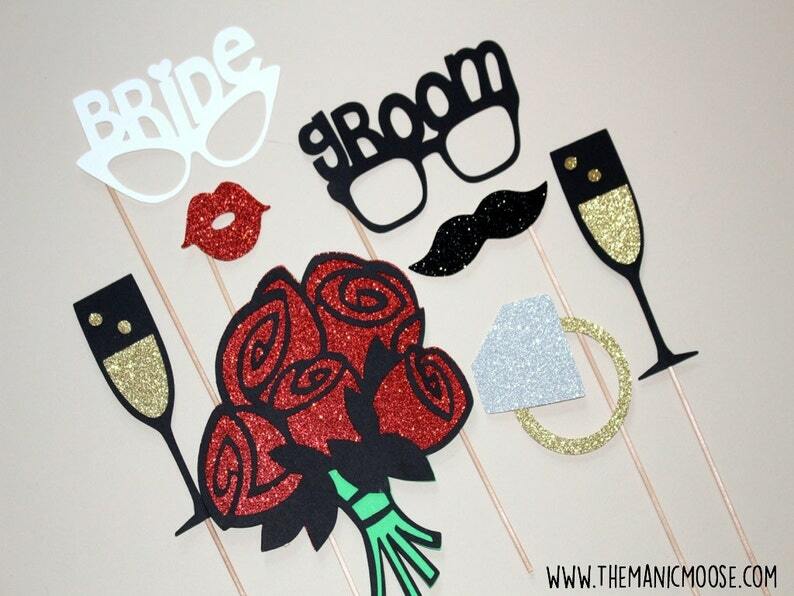 Great quality photobooth props perfect for our upcoming wedding!